Any wine lover in Kuala Lumpur will know and love La Cave in Bangsar as it's known for its chill vibes and extensive list of wines. The two founders behind it, Donnie Maclary and Florian Raymond have now expanded their passion for good wine and socialising to the area of Mont Kiara. Located right next to Copenhagen Café, the new La Cave is not only home to a similar stellar selection of alcohol like its predecessor, it's also a place for good food. Its kitchen is helmed by Chef Aida Hani Khalid who has a background in cooking for the motorsport industry. She was previously a private chef for the Audi R8 LMS Cup racing team based in Asia for a year in 2016. Fast forward to today, Chef Aida is now producing French cuisine (for the first time!) and already nailing it. La Cave's menu consists of cold cuts, cheese and homemade pate, the latter of which is buttery and rich. Flavourful salads with watermelon, pumpkin, cauliflower, chicken and mango are also included. 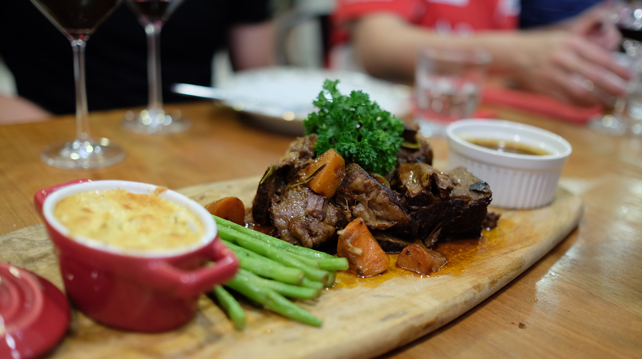 As for mains, you won't want to skip out on Chef Aida's beef ribs served with cauliflower and buttered French beans or the juicy rotisserie chicken. 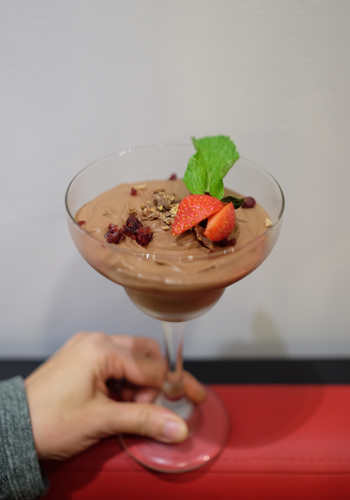 Make sure to save some stomach space for the absolutely delicious banana and peach crumble, the pannacotta and the rich chocolate mousse. Pair the delectable menu together with some Argentinian El Regreso Chardonnay, or pick from the outlet’s selection of reasonably priced wines from bubbly to organic, white to red and old to new world. Address: La Cave Bistro - Lot 7-5, Vista Kiara Shoppe, Jalan Kiara 3, Mont Kiara 50480 Kuala Lumpur, Malaysia.